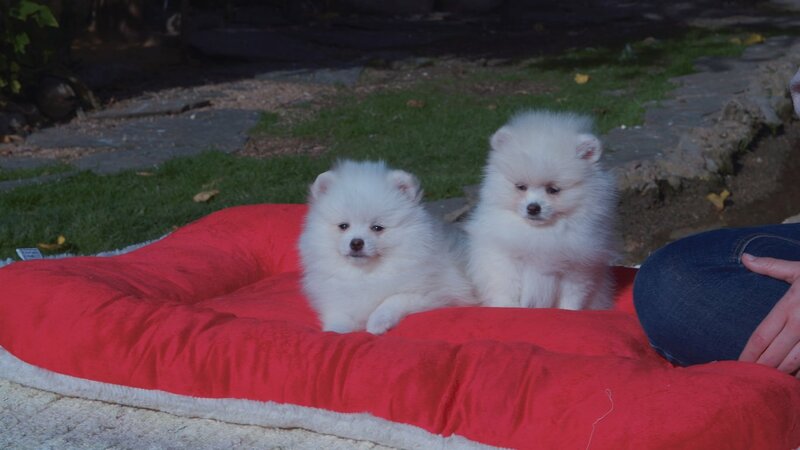 Our Pomeranian puppies are beautiful and playful dogs that enjoy the company of their masters. Do you want to take one to your house? The Pomeranian is the smallest member of the Spitz family of dogs, and owes its name to the Central Pomeranian region of East Germany. It is classed as a toy dog due to its size. The Pomeranian’s ancestors originated from Lapland where they were used to pull sleighs, and they arrived in Central Europe at this exact location in Germany. 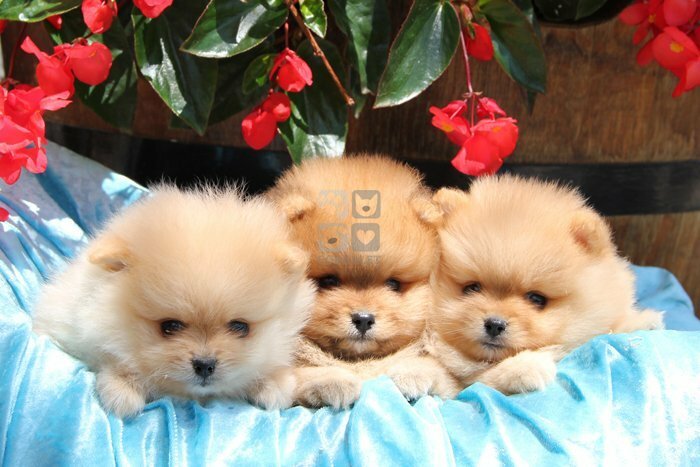 The Pomeranian is very energetic, extroverted and full of life. This dog is extremely loyal and a great protector of its owners, although it can be somewhat shy around strangers. Although it is true that the Pomeranian usually has a somewhat unfriendly nature, it has a loud bark, making it a great watchdog. It is essential that this dog knows who is boss, therefore you must be firm during training otherwise this dog could become too self indulgent. Like any species, the Pomeranian’s life expectancy varies notably depending on its lifestyle, diet and physical state. 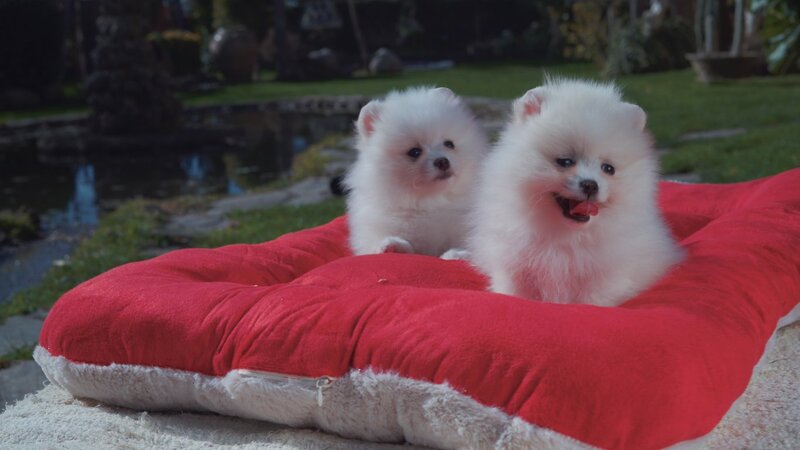 Although there is no exact method for assuring the longevity of these animals, Pomeranians are generally healthy, sturdy and live a long life of between 12 and 16 years. Their body is very compact, with a short straight topline, its chest slopes down to the elbows and its tail is usually set high and doubled forwards. These dogs are normally between 17 and 22cm in height to the withers and their weight can vary from 1.4kg to 3.2kg. 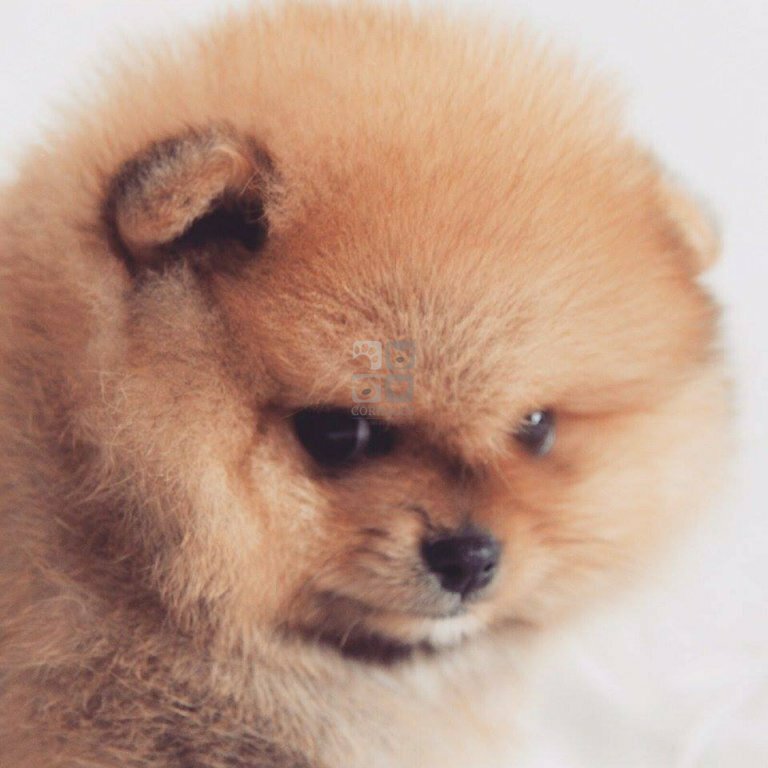 Although they have a fantastic relationship with children, the Pomeranian is not usually recommended for families with small children, as they could treat the animal as a toy and hurt it because it is so small. 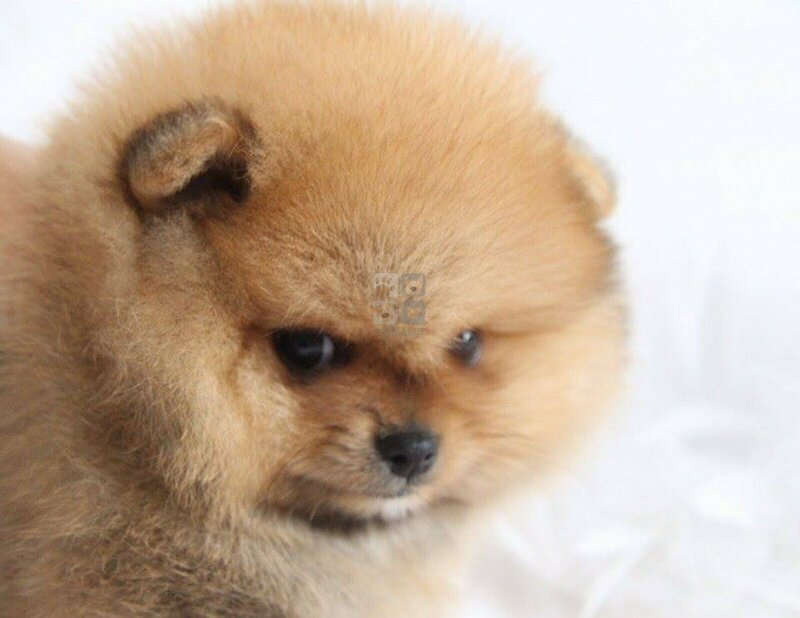 If a Pomeranian does end up living with a family with small children it is absolutely essential that the parents educate their children on how to treat these animals with care. 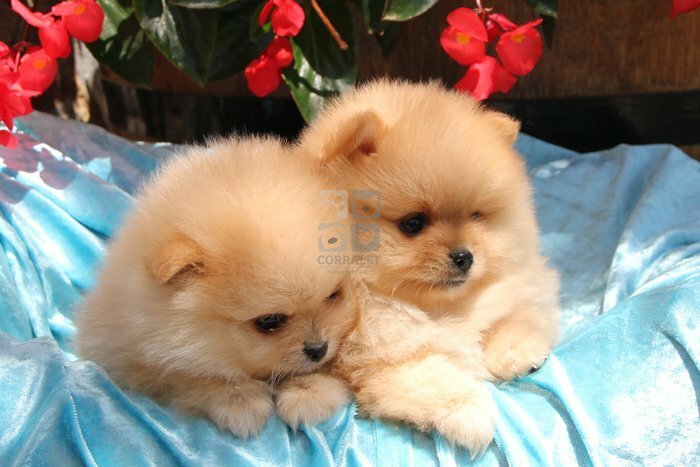 The Pomeranian is a very proud dog and can be aggressive towards other animals. This breed of dogs is rarely scared of other dogs, so you have to be very careful that they don’t get into a fight with dogs bigger than themselves. Make sure your Pomeranian has a full social life. Make sure its eyes are clean. It is recommended that they be fed dried food to keep their teeth healthy. 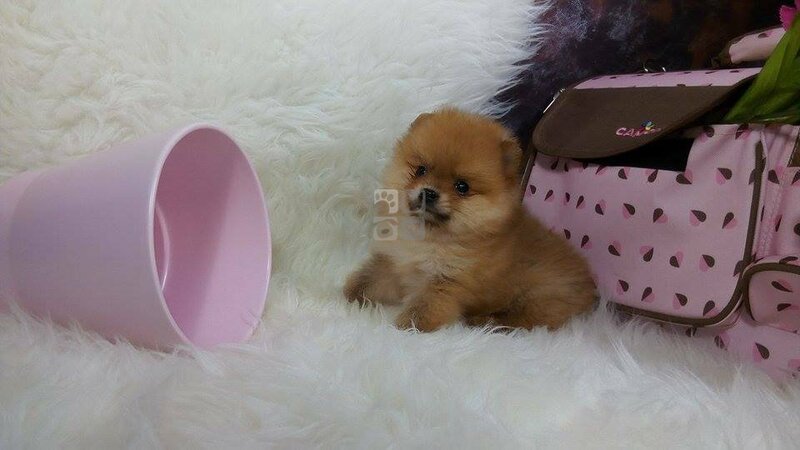 Pomeranian puppies are very small. As they are very delicate it is important they are treated with great care. Do not overfeed or spoil it. Although this breed of dogs is small enough to live in smaller homes and are usually very independent, owners should take them for walks and give them exercise on a regular basis. 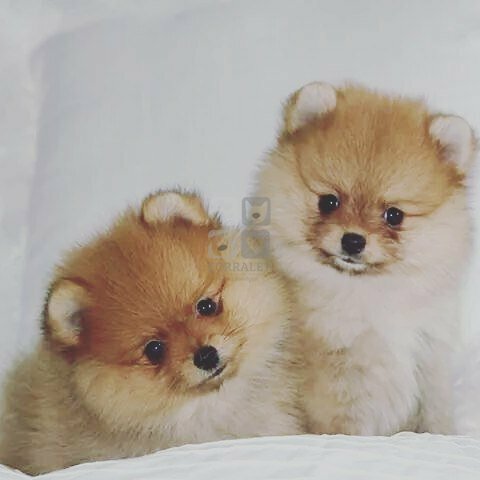 Pomeranians are usually loyal companions if they are educated correctly and they can give many years of joy to the family they live with.